Boxing is a truly international sport–that is one aspect of what makes it so compelling. To be a true world champion in boxing is to be the best in the world, at a sport that is practiced in every part of the world. To qualify for the Olympics, a fighter has to enjoy a certain level of success fighting in international competition. Over 75 countries around the globe had at least one boxer who qualified for the Games in 2016. But even as boxing enjoys international prestige, certain countries hold the sport in special regard. I am not going to single out any particular nation’s fans as the best. But if I were going to make a short list, the Mexican fans would be on it, without question. To be a great Mexican fighter is to enjoy a certain level of folk hero status among your countrymen. 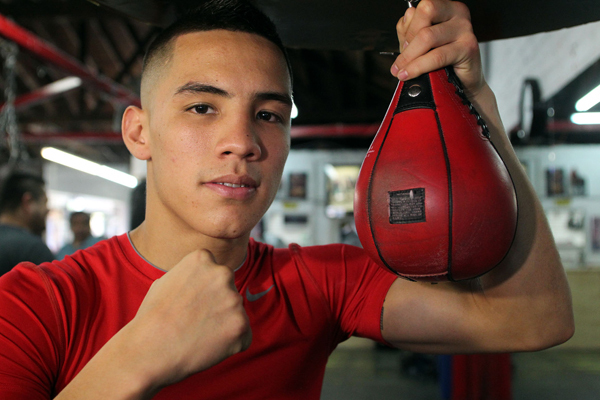 At 26, WBO featherweight belt holder Oscar Valdez is moving toward that kind of acclaim. He is 21-0 with 19 KOs and has only gotten more impressive as his level of competition has stepped up in recent fights. The two-time Olympian is a ruthless counter puncher. If I had to compare him to another Mexican great, it would be Juan Manuel Marquez. Saturday night at the StubHub Center in Carson, California, Valdez faces once-beaten Miguel Marriaga. Marriaga’s one loss came via unanimous decision against Nicholas Walters, in June 2015. Not many featherweights went the distance with Walters. So if Valdez can finish Marriaga, it will be another impressive line on his resume. Marriaga is an experienced contender, with good power, having stopped 21 of 26 opponents in his career. So long as Valdez can handle his business in this one, there are some terrific fights out there to be made at 126 pounds. I suspect Leo Santa Cruz and Carl Frampton will fight a rubbermatch, after splitting their first two fights. They are the best two fighters in the division right now, but in back of them are potential stars like Gary Russel Jr. and Joseph Diaz Jr. Abner Mares, Jesus Cuellar and Lee Selby would all be great opponents for Valdez, as well.